The government has already sanctioned Rs 220 crore to set up 14 shelters, hangers and maintenance facilities at the 78-year-old base for the Rafale jets. Ambala: The Indian Air Force or IAF has initiated major infrastructure upgrade at its frontline base in Ambala for deployment of the first squadron of the Rafale jets which will give India greater "potency" over Pakistan as these will be capable of carrying nuclear weapons and other missiles. The government has already sanctioned Rs 220 crore to set up 14 shelters, hangers and maintenance facilities at the 78-year-old base for the Rafale jets whose delivery is scheduled to begin from September, 2019, a senior IAF official said. "We are creating infrastructure keeping in mind infrastructure requirement for the Rafale jets for next 40-50 years," the official said on condition of anonymity as he is not authorised to speak to media. The Ambala base is considered one of the most strategically located bases of the IAF as the Indo-Pak border is around 220 km from it. Currently, the base has two squadrons of the Jaguar combat aircraft and one squadron of the MiG-21 Bison. Marshal of the IAF Arjan Singh, who passed away two weeks ago, was the first commander of the Ambala base in independent India. 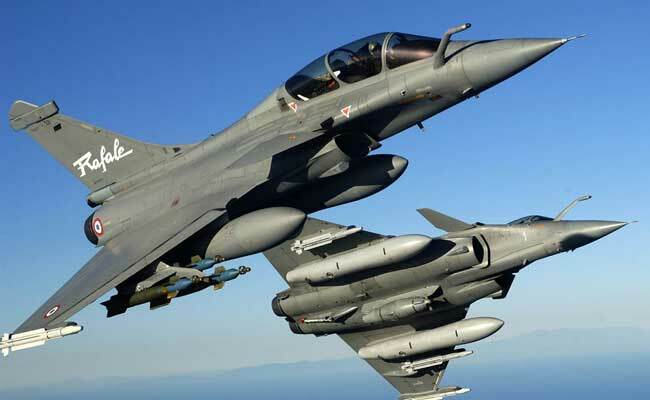 Several teams from French defence major Dassault Aviation, the manufacturer of Rafale, have already visited the Ambala air force base and finalised the requirement for the first squadron of combat jets. The IAF is also carrying out infrastructure upgrade at its Hasimara base in West Bengal which will house the second squadron of the Rafale jets, the official said. "We are planning to put in place all required infrastructure for Rafale squadron by end of next year," said the IAF official. The Ambala as well as Hasimara stations will also have simulator-based training facilities for the air crew of Rafale jets. The IAF has already selected a batch of pilots to fly the jets and they are being given training by Dassault Aviation in France. The Rafale combat jets will come with various India specific modifications including Israeli helmet mounted displays, radar warning receivers, low band jammers, 10 hour flight data recording and infra-red search and tracking systems among others. Its integration on the Rafale jets will mean IAF can hit targets inside both Pakistan and across the northern and eastern borders while staying within India's territorial boundary.